I was lost. I had walked through the grubby tunnel under the vast soviet era motorway, and was surprised to find it inhabited with tiny shops selling everything from fresh bread to second hand clothing. Strolling down Przyokopowa Street I found myself on the outskirts of Warsaw. Green fields lay ahead and the road had narrowed to a thin strip of cracked tarseal, the footpath was rough and broken. Suspicious, large and very sad looking Polish housewives in drab clothing stared at me. Their houses were decrepit, tiny and uncared for. 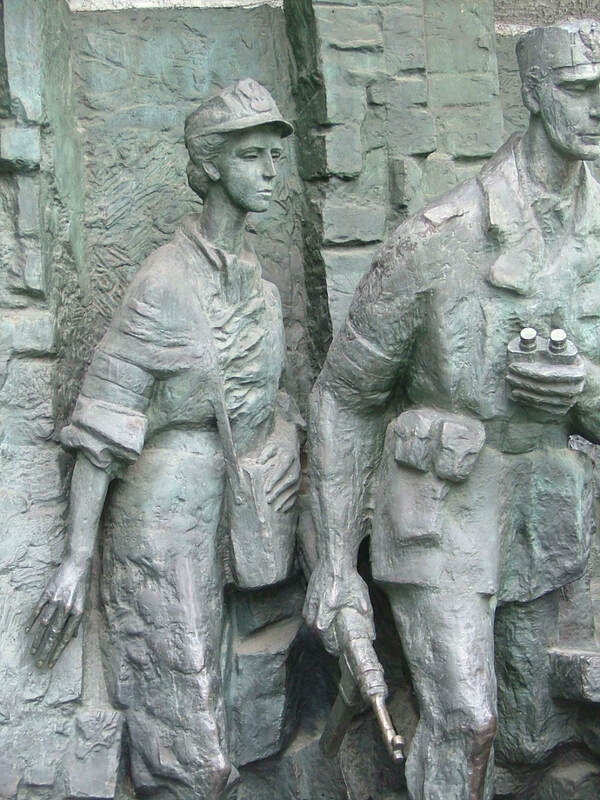 The Russians had tried to erase the uprising from social memory after the war and prohibited commemorations of either the battles or the individuals involved. Despite much historical and political misinformation, in 2003 plans were finally instigated by the President of Warsaw to build a museum to recognise this tumultuous event in Polish history. 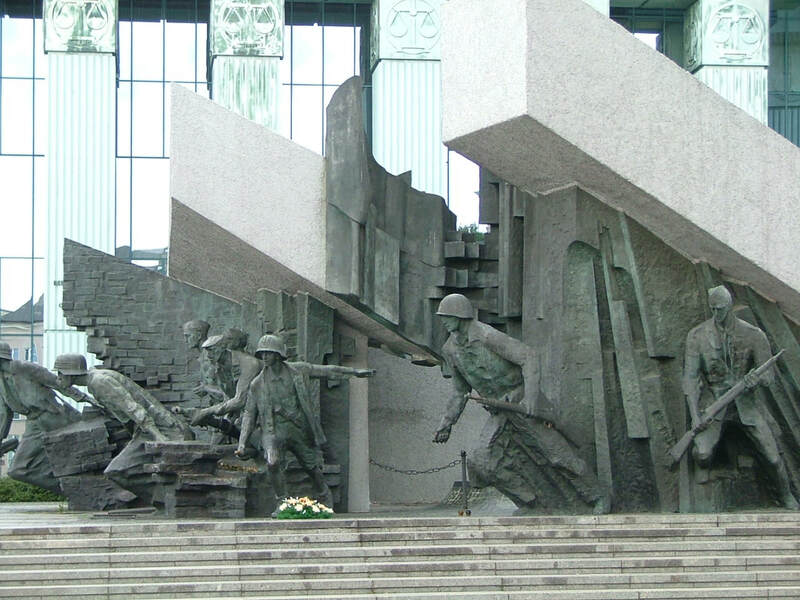 Initial suspicion from remaining insurgents was soon resolved and the museum opened in the renovated 1904 tramway power plant on the eve of the 60th anniversary of the Warsaw Uprising. The museum was breath-taking and evocative. Designed from the perspective of personal experiences, I was assailed by the sounds of bombing, air sirens, troops marching and defiant insurgent songs. Haunting music reflected the despair which had engulfed this beautiful historic city. Huge wall sized photos; of the days preceding the uprising, of normal family life, the Nazi occupation, the destruction and fear reflected on people’s faces both fascinated and horrified me. 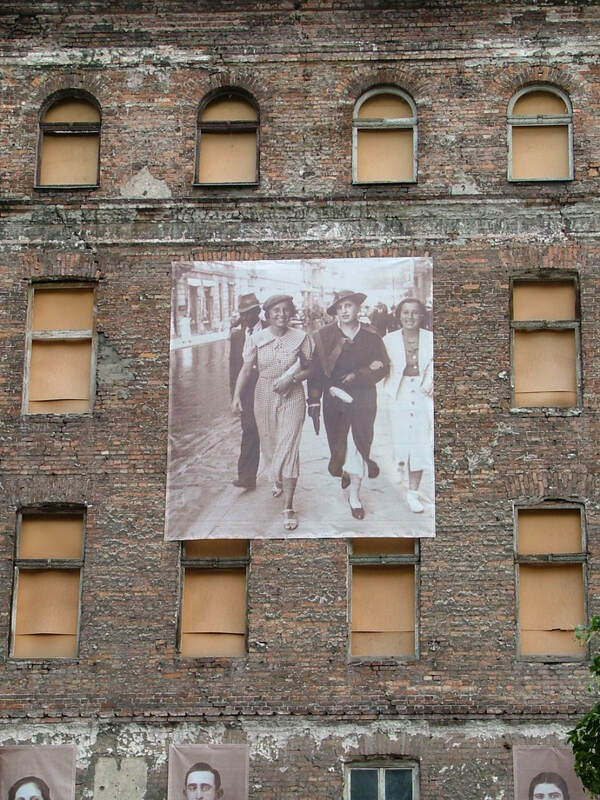 Later that day I was to see similar huge photos hanging from buildings in the old Jewish quarter, the people who had made these buildings home had never returned. Their apartments remain empty and cannot be sold in case family reappear to claim them. Hanging from the ceiling was a large aircraft, a replica of the Liberator B24-J. Its presence became a symbol of the defiance and triumph of good over evil. I stopped frequently to view the videos of now elderly survivors telling their stories. Moved, I wondered how I could meet these wonderful resolute people. Their accounts grew more harrowing as their struggle was accentuated by the memorabilia all around me. I passed enlarged photographs of the leaders of the insurgents, and of the women who fought alongside these men. Other women had acted as couriers, often accompanied by boy scouts. Mementos had been freely offered by survivors of the uprising; children’s diaries, armbands, uniforms, Russian and German guns, a communion cup. The priest who used this to bring consolation to the fighters had died at the hand of the Nazis. There were surgical instruments, remnants from dressing stations and even a piece of barley bread kept as a souvenir by a captured Polish soldier returning from a prisoner of war camp. The Polish eagle, a symbol of hope and freedom, had been fashioned by other fighters from anything they could scrounge. Part of the museum is dedicated to the airmen from many countries who undertook countless airdrops of armaments, food, medical and clothing supplies. Outside I gently ran my fingers over the wall of remembrance and was saddened by the many unpronounceable names engraved on it. Tears welled up and my heart was heavy as I returned for one last look at the exhibits. Peering into a display case I had not previously noticed I saw tiny pieces of wood with names scratched indelibly on their fraying surfaces. The sign said these were left by dying men who wanted the world to know they had been alive, so their fragile existence could be exposed, they just wanted to be remembered. I fled the museum, no longer able to cope with the futility and cruelty of war, of sacrifice and loss, of the devastation wrought on the Polish spirit. Meandering for hours on the streets where the battles had been fought, I discovered many austere Russian buildings, hospitals that looked as though little had been done to improve them in decades, and buildings guarded by large men in black uniforms with big guns. I visited the diplomatic quarter where huge restored buildings were surrounded by beautiful gardens and high fences. Unexpectedly I was filmed by Polish television after encountering a meeting at the Castle on the Lake between the Prime Ministers of Poland and the Ukraine. The following day I was privileged to visit the headquarters where the survivors of the Warsaw Uprising meet. Humbled, I listened as they shared their anguished memories with me. When one of the women who had fought in the uprising realised I was from New Zealand she grasped my hands and thanked me for what our airmen had done to save their lives and country. She shared her compelling memories with me and showed me her own precious memorabilia; identity card, photographs taken when she was fighting the Nazis, a badge and armband. These elderly insurgents insisted on giving me some gifts; among them replicas of old posters depicting the uprising. Shyly I hugged and thanked them for their kindness and for allowing me to visit their special refuge. I drank dark bitter coffee and ate toasted black bread as the train rumbled and shook through the Polish countryside towards Krakow and Auschwitz. I reflected on Warsaw, a city of paradoxes. It is harsh, still Russian, but it’s soul is being revitalised, renewed. I knew I had left my heart in this enigmatic city.